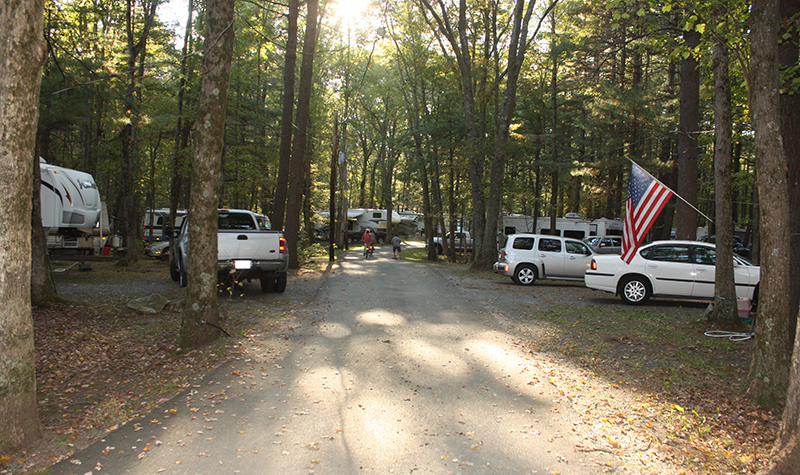 Circle CG Farm — a New England RV camping mainstay for 50 years. Clifford and Marion Grover had a dream. 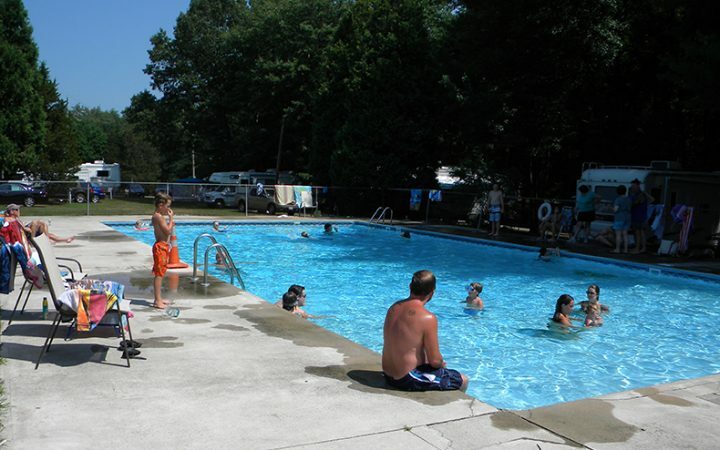 Circle CG Farm Campground — a New England RV camping mainstay for 50 years. Clifford and Marion Grover had a dream. It was 1966. The established businessman had already moved his family from Western Massachusetts to Bellingham, a sleepy little town in the southeastern part of the state on the border of Rhode Island, to start a riding academy. Bellingham was the quintessential small town with one flashing stoplight and a whole lot of open land. The business venture that drew him here was Hercules Cement, which he established on Depot Street in Bellingham, and an associated trucking company, B & G Trucking. However, his passion was horses. The riding academy – an ode to his love of western style horseback riding and showmanship – was a prelude to bigger things to come. The riding academy drew students for riding lessons from across the region. It was a chance conversation with close friends and business owners that opened his eyes to the possibility of something more — his new homestead could not only host a stable and facility for horse shows, but a camping ground for people who traveled a far distance with their families to participate and view the western-themed event. Perhaps, they didn’t know how far they would come – over the years we have hosted guests from Australia, the Philippines, the Netherlands, Germany, Switzerland, France, Canada and Fiji, just to name a few. We’ve hosted Olympians, race car drivers, soccer teams, and famous actors over the years. The Circle CG Farm team. Standing, from left: Peter Daley, Cindy Smith, Linda Daley, Robert Daley and Anne Martin. Kneeling: Michael Grover & David Grover. 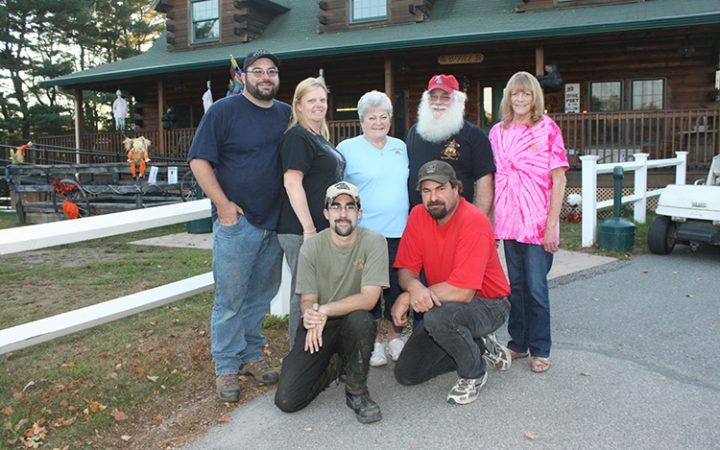 Clifford and Marion Grover invited Barbara (Latourelle) and Hank Wilgus, campground owners from Sunnyside Campgound in Westfield, Massachusetts, for a trail ride on the new property and they were stunned with the possibility that the property held. 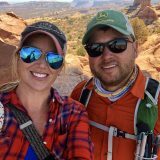 As campground owners themselves, they knew Cliff and Marion’s new home could be more — a camping ground for those from far and wide. Cliff, not one to waste time, quickly set to clearing land and a year later, opened a 25-lot campground on Labor Day Weekend in 1968. The Grovers, aided by their daughter Linda and later her husband, Robert Daley, balanced the riding academy and campground, but soon camping became the bigger draw than the riding academy. With the campground the priority, Cliff and Marion opened a field for camping, and horseback trail riding became an activity to do while camping. It wasn’t the only activity that was popular at the park – soon the weekends were filled with square dancing with Roger Dufoe; live country bands such as John Penny, Sleepy LaBeef, Tina Welch, and the Good Company Band; horse-drawn hayrides and an annual western rodeo, complete with clowns and drill team performances. To this day, we continue the tradition with contemporary country western bands such as Bobby Carlson and The Stones River Band, Gale County, Jim Libby Band, Country Mile and Joe Macey. Joe Macey — and his many guest musicians — has been a regular with us for more than 20 years. 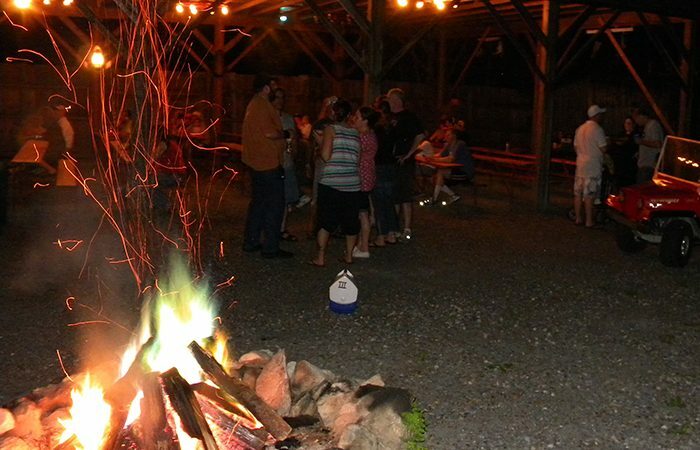 In the beginning, the camping season extended from April to October, and every year Circle CG Farm marked the opening of camping season — and summer — on Memorial Day Weekend with Grem Ferris and The Wheels, and closed with a family field day on Columbus Day Weekend in October. Campers from outside of New England could take a guided bus tour to Boston, Cape Cod or Salem. Today we are open year-round, with activities scheduled throughout the year; campers can now – with the advent of GPS and nearby public transportation – tour the historic sites in the region on their own. Improvements have followed and are continuously ongoing – a man-made fishing pond, electricity, running water, sewer sites, paved roads replaced dirt roads, and a bathhouse with hot water replaced the outhouses that were on the property. Roughing it was no longer an option as camping grew in popularity — and in rig size and technological demands required cable and internet access. 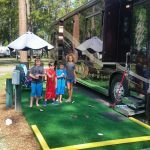 As Cliff and Marion’s family grew, and grandchildren came along, so too, did the campground. 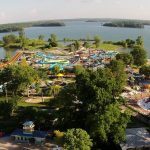 The 25-lot campground grew to a year-round campground that boasted 150 sites for tents and trailers of all sizes — in the spring, summer and fall- and reduced operations to 70 camper sites in the winter. The park has undergone improvements as time has marched on — cable and wifi have been installed; Grover Station, an outside concert venue, was established; pull-thru sites were graded; and a modern office and computerized registration system have been added. The campground is now in its third generation of stewardship, with grandson Peter Daley and his partner Cindy Smith at the start of another half-century. Peter’s sister, Donna Boynton and her husband Michael, as well as extended family, are always close by to lend a hand. With Rob and Linda Daley driving the team, it is clear that Cliff and Marion achieved their dream — establishing not just another business venture, but a means to care for their family for generations to come. More upgrades are on the way as camping evolves. But for now, the Daley family is celebrating the past with an eye to the future. With time, regular campers became like family — some no longer with us, and some we haven’t met yet. The Daley Family would like to thank their team of employees as well as past, present and future guests for choosing our park. Check out our circlecgfarm.com or follow us on Facebook for the latest information.